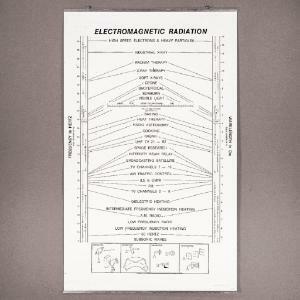 This chart depicts the major divisions of the electromagnetic spectrum. 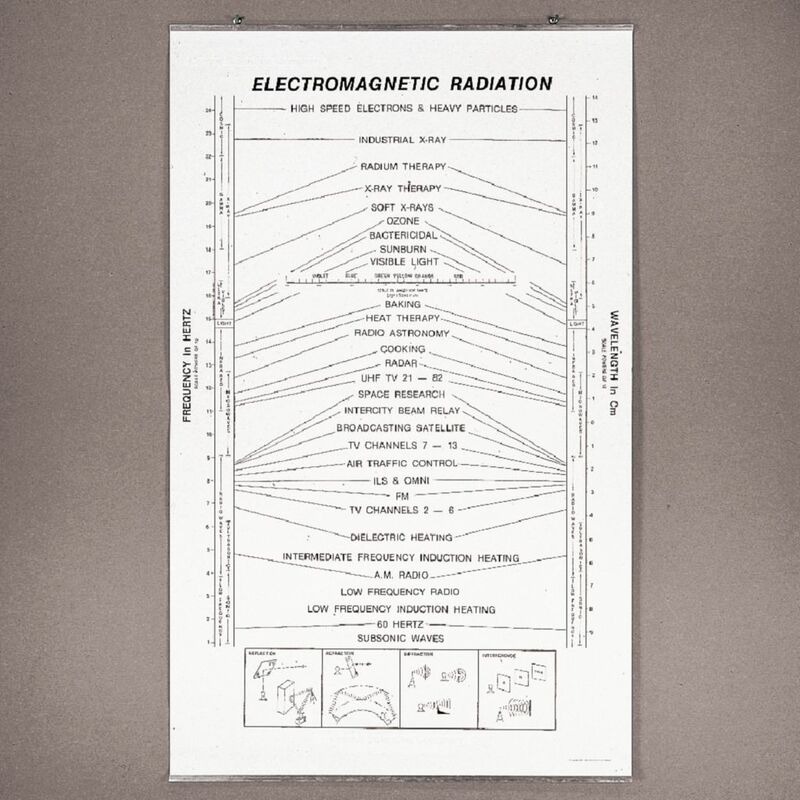 Diagrams illustrate reflection, refraction, diffraction, and interference. Size: 39" x 59".